Searching for a home within the Millennia Elementary School Zone? Then you are in the right place! We work hard to make your next home search easy and efficient, so that when you are ready to buy or sell, we are ready to help! 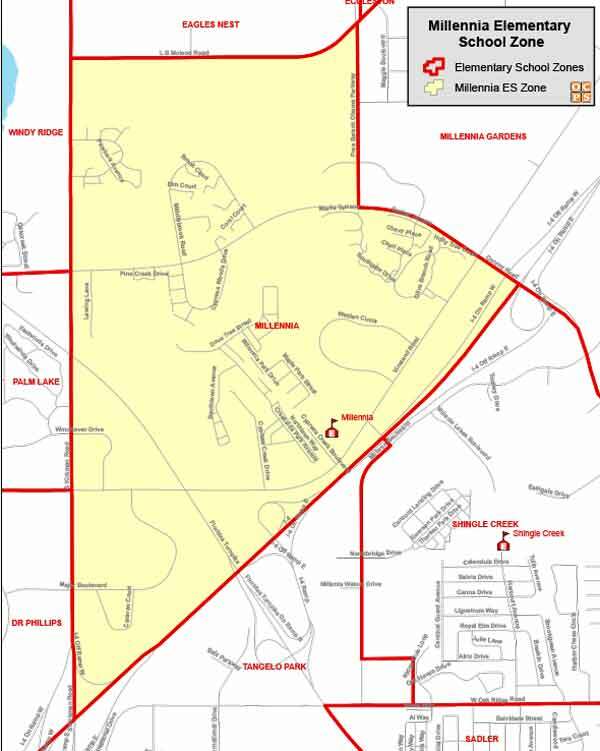 Millennia Elementary School History and Information: Millennia Elementary was founded in August 2007. We are a multicultural community with 26 different languages spoken by our families. Millennia is an AVID school, has won the Positive Behavior School Award and is also a pilot school for full implementation of Digital Curriculum. Students K-1 will use iPads to access the curriculum and 2-5 will use ChromeBooks. Students' curriculum is very interactive. Millennia hosts monthly events for families so parents can learn the strategies and curriculum their child uses during the school day. The mascot at Millennia is the Kangaroo because Kangaroos only go forward and not backwards. Students at Millennia are being taught skills to be successful citizens in their future! Come and visit anytime!